Win a R1000 Spa Voucher! 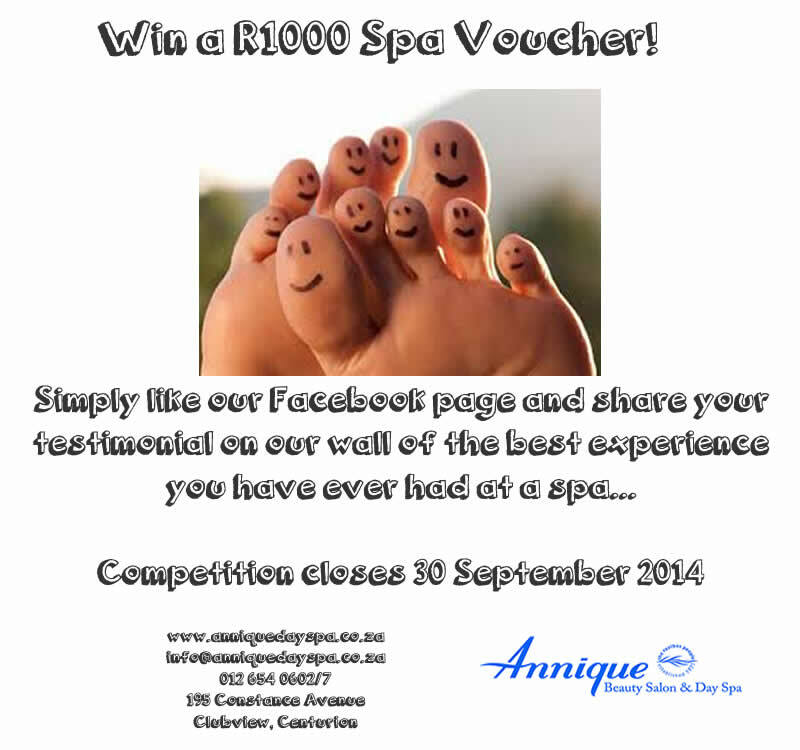 Like Annique Beauty Salon & Day Spa on Facebook, write a Testimonial of your Spa experience and stand a chance to win a R1000 Gift Voucher to use as you like! Use it for your massages, facials, waxing, favourite Annique products…and much more. Competition closes 30 September 2014 at 17:00, so enter today!